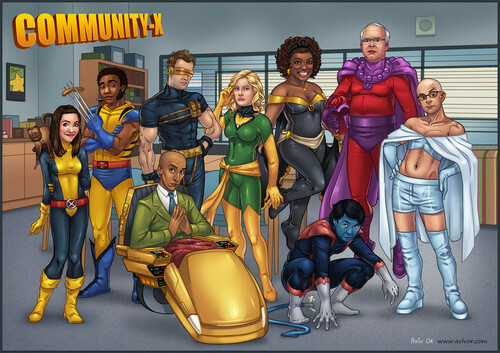 Community Cast as The X-Men. . HD Wallpaper and background images in the Community club tagged: x-men cast fan art. 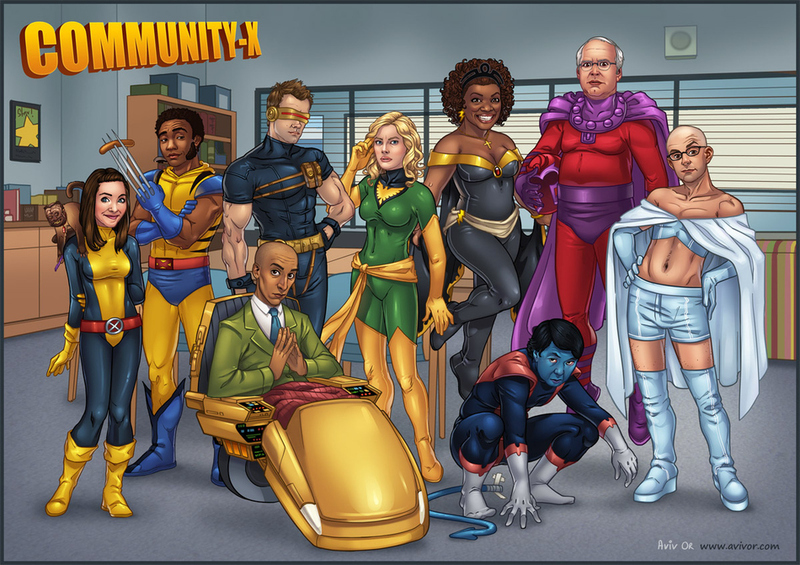 This Community fan art contains anime, grappig boek, manga, cartoon, and stripboek. Perfect Emma frost could not stop giggling! I think he'll play a good role - He was good in Amittyville Horror (the remake) and that was a very serious role. He's a good actor. Bright colors are good for comic books, but do not necessarily look good in certain movies.